Sandy was brought to us by her owner Grace, after the 3-month-old chihuahua/terrier mix puppy fell from a shopping cart. 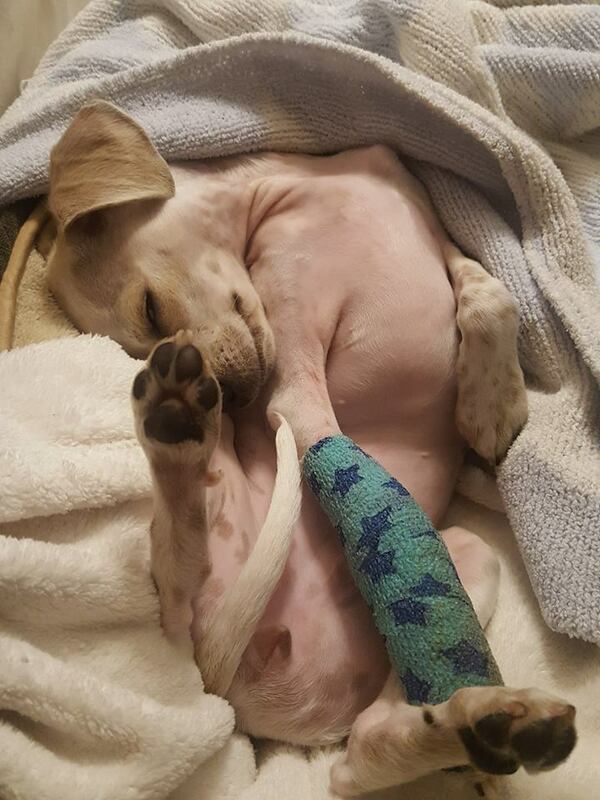 Grace rushed her to our Associate Member hospital, Pacific Veterinary Specialists and Emergency Service, where she learned that Sandy would need major surgery to have a reasonable quality of life after breaking her arm in two places. Currently disabled and unable to work, Grace was devastated when she learned that her new puppy's surgery at Associate Member, Santa Cruz Veterinary Hospital, would be thousands of dollars. She learned of BirchBark Foundation and knowing that her financial situation was dire, she immediately applied for help. Grace, qualified for financial assistance from BirchBark Foundation. Grace's friends helped raise 25% of the costs of surgery, BirchBark Foundation paid for 50% and the veterinary hospital discounted their fees by 25%. Following a 3-part surgery that helped to ensure the integrity of Sandy's bones through the use of screws and plates, this vibrant young puppy has grown twice her size since the September incident. Sandy is happy, healthy and making incredible progress in physical therapy! Can you help a pet in need today? Older PostThelma and Louise ride again!